Gavin with Ken Whitmire, the Ansel Adams of wall portraits at WPC 2013. Here’s our special Seim Effects video for May 2013. I just returned from a week at Wall Portrait Conference. It’s my 5th year and the principles I learned here changed my entire career. I wanted to record a quick overview of ideas while it”s fresh in my mind. To share a bit of what I have learned and what I plan to apply further this year as I sell more wall prints. These ideas come from hundreds of years of combined experience. I am not the master of marketing, but I have seen these principles work when applied correctly. I barley scratch the surface here, but here’s hoping this video will get you inspired to raise the bar and go further. I hope to see you at a future Wall Portrait Conference. Want to learn more about using light and making images for walls? 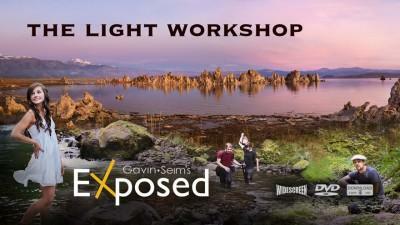 Check out my complete films including EXposed, a workshop about all things light and exposure. Also take a look at PHOTOGRAPHICS. 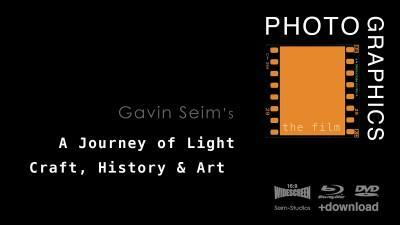 My new film on Art, History and Photographic Craft. You can pre-order it now and save. Thanks, Gavin. Wall Portrait Conference is now at the top of my bucket list! I sure enjoy your expertise and enthusiasm. Thanks Jeffery. Hope we see you there soon. Great commentary, and self reflections, Gavin (and honest). I believe the “gist” of your “pump up” interview “with self”, is that we really have to believe in what we do, and work hard to get really excited about it. We should be the ones that decide what we want to do, and then make sure that it’s the impression our clients get when they walk into our studios. …….Ken Whitmire. Thanks Ken. 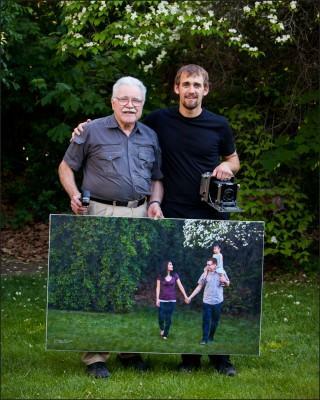 We really appreciate what you have done for portraiture. Thanks Gavin, great reminder about the meaning of art on the wall we create. You were my inspiration few years ago to start focusing on wall portraiture. It’s quite amazing feeling when you can deliver that piece of art to families and see the light of their faces when they receive it! Thanks Niko. It sure is.